Hey there! It's a rather sunny start of the week and once again, I'm reminded how important it is to wear sunscreen everyday. Even if it's actually rather cloudy, the sun's rays are still coming through and would penetrate your skin. I am still on the quest in finding my perfect sun block since the ones that I've tried so far have mostly been oily or greasy or have a white cast. (Read my brief intro on sun protection HERE). 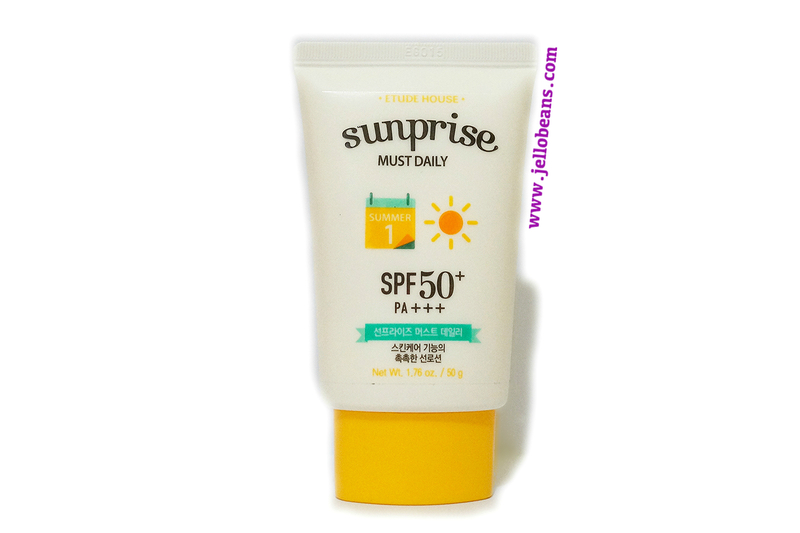 Enter Sunprise Must Daily SPF 50+ PA+++which I got from althea.kr. 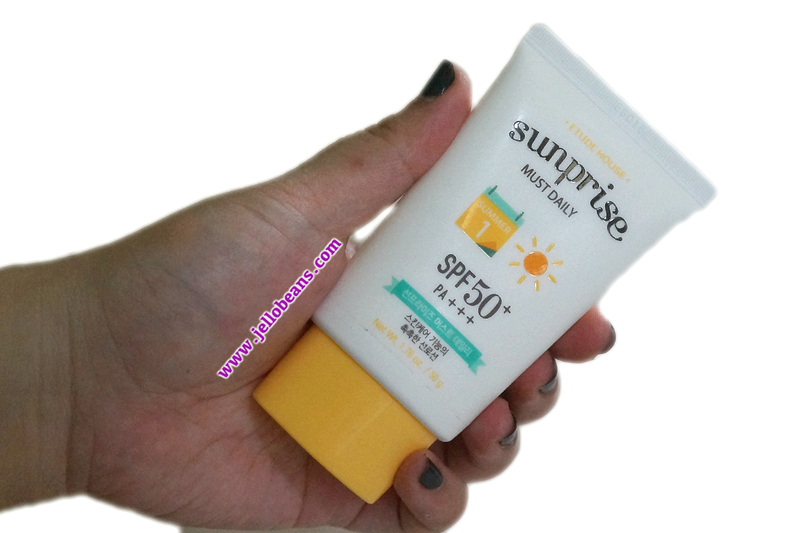 The Sunprise line is Etude House's range of sunscreens featuring different variants - Must Daily is a light gel lotion, All Proof is a sports (heavy) strength long-wearing cream, Super Aqua is a hydrating cream, Mild Watery Light is a moisturizing gel, Dust Block is a bubble gel, and the Natural Corrector which have different shades and functions as both a tinted sunscreen and a makeup base in one. The Sunprise line quite an extensive range so you will have choices for various activities and and needs. 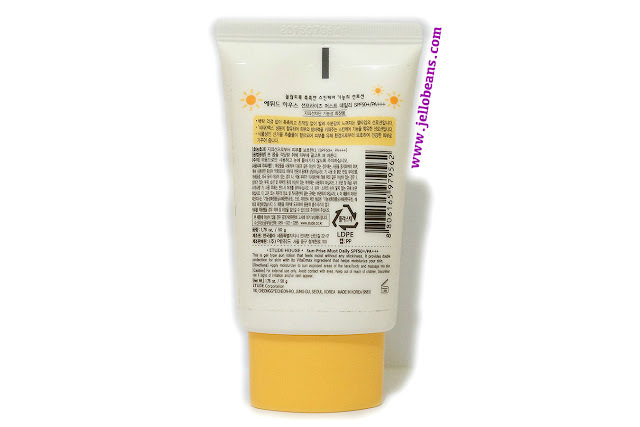 - No turbidy: The powerful SPF 50+ UV protection with smooth and non-sticky texture like hydrating skin.while applying. - Smart sun lotion: Containing Vitamin D to improve skin defensive power for skin care. - Remove skin stress with soft ingredients: Dwarf ground sedge contained to protect skin from harmful environment and keep skin healthy and peppy. Most sun blocks I've tried in the past would leave my skin feeling suffocated because they feel thick and pasty. This results to that icky, sticky feeling and makes me sweat a lot which is not good especially if you're also under the sun. 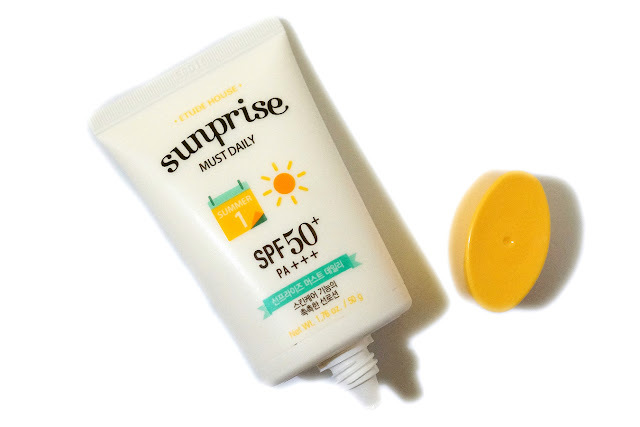 What I look for in a sunscreen: medium/high SPF, UVB and UVA protection, light and airy formula, creamy texture that's easily absorbed, minimal white cast, easy application, compatible with other makeup products. The Sunprise Must Daily fulfills most of my requirements. This feels very airy and light and applies like a moisturizer. It was easily absorbed by my skin without that suffocating feeling. The gel formula and creamy texture allows it to be non-sticky and hydrating. 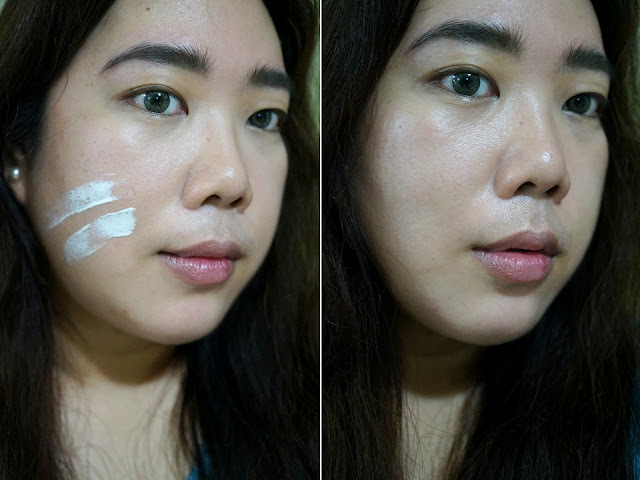 It also did not give a heavy white cast after application despite the high SPF. This leaves a healthy, non-shiny glow on the skin and also brightened up my face. This is now my daily go-to sun protection. 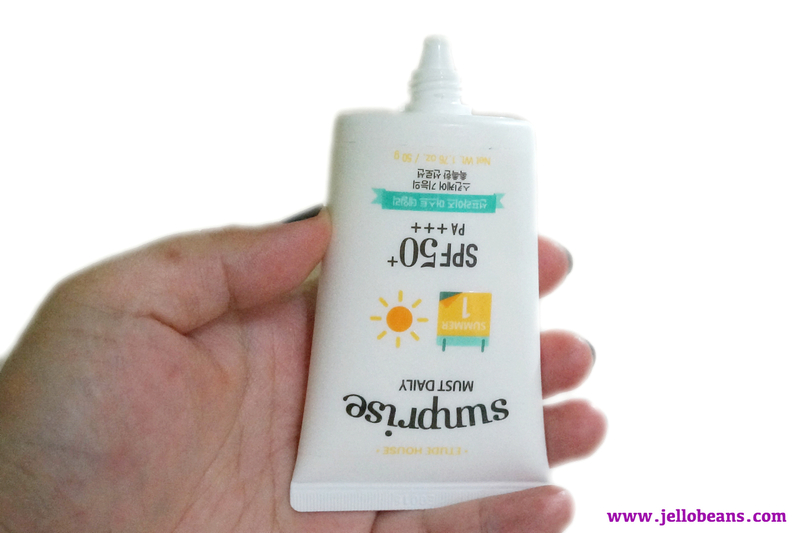 I have ditched my other sunscreen and have been using this one for more than a week now. I massage this into my skin right after my regular moisturizer and before primer. I like that I don't have to wait for this to be absorbed before putting on another layer. 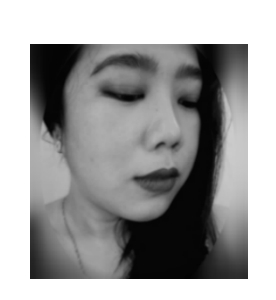 This doesn't disturb any makeup that I put on and doesn't add any heaviness. One thing to note is that this has a mild floral scent (which I didn't mind) that goes away after a while. This also didn't cause any breakouts nor irritation.